The Stressless brand has become one of the hottest furniture brands in the world through its trademark combination of efficiency, quality, comfort and selection. The brand is produced and distributed by the revered Ekornes company out of central Norway – crafted, designed and produced by skilled workers at their location in the Alps of central Norway. Their Glide wheels system system you to adjust your body to the most comfortable position, just by using your body weight. The Plus system automatically adjusts the user to the correct head, neck and luck positions, ensuring that the user won’t have to frantically fidget and scramble to get comfortable when they’re sitting in their new piece of furniture. The ErgoAdapt system allows the furniture to automatically adjust to the perfect sitting angle when you sit down in it – again, removing all of the fussing and fidgeting (and sometimes those awkward positions) that happen when you sit in a regular chair. Taken together, the revolutionary Stressless furniture system represent a quantum leap in relaxation technology for the home – and La Casa Jersey has all the different styles you need. What kind of Stressless chair is right for my home? 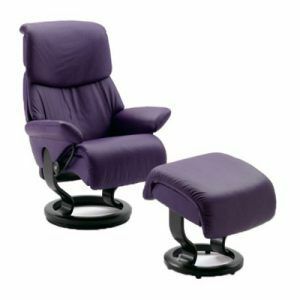 So, you’ve decided you’d like one of the Stressless chairs for your home? Congrats, that’s a great choice! Now, what’s right for the different locations? One of the Stressless sofas delivers the ultimate in comfort for vertical (or, well, horizontal) relaxation. 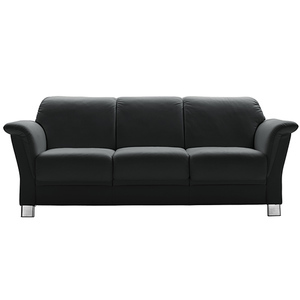 These sofas offer unparalleled comfort and durability, and are ideal for placement in the living room or even as an accent in the bedroom. A Stressless recliner is the perfect piece for solo comfort. Soft, comfortable and beautiful – and available in a wide range of colors that will fit any home – these recliners are the ultimate “take a load off” add-on to a living room, den, basement, or any place where you deserve a little bit extra for relaxation. 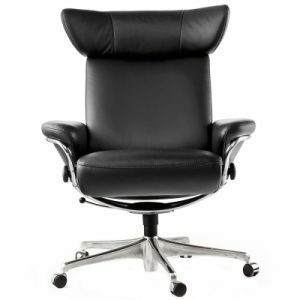 A Stressless office chair is ideal for any work environment. With all of the technology that makes Stressless furniture so comfortable, relaxing and refreshing, a Stressless office chair is an immensely valuable addition to your house – or your office. If you spend hours upon hours in a chair for work, a Stressless chair is essential; it delivers all the support that you’ll need. Put a Stressless office chair in front of your desk or furniture to make sure you are working in style and comfort. Which Style of Bedroom Furniture is Right For Your Home? Which Type of Wood is Best for Furniture?